INDIANAPOLIS, IND (September 6, 2018) Klipsch®, a tech-driven audio company, is pleased to introduce a new series of ultra-compact, high-performance subwoofers with app and IP control for complete optimization and customization of low frequencies. The premium Klipsch C-Series subwoofers deliver powerful bass and feature a variety of inputs to complement any audio system while minimizing footprint in the room. The Klipsch C-Series are high powered, ultra-compact subwoofers utilizing a front firing Cerametallic™ woofer and side-firing piano gloss passive radiators to optimize output and low frequency extension while matching the rest of the cabinet. The series consists of two models that are approximately 30% smaller in size than average subwoofers and deliver similar output and low frequency extension as much larger models. The Klipsch C-310ASWi subwoofer (US MSRP $1,599) is powered by an 800W BASH digital hybrid amplifier, has three 10” drivers and measures just 13” cubed. The C-308ASWi subwoofer (US MSRP $1,299) is powered by a 600W digital hybrid amplifier, has three 8” drivers, and is an 11” cube. The ultra-compact cabinets and elegant, premium piano gloss finish ensures the subwoofers blend seamlessly into any environment. The free Klipsch LowControl™ App allows complete control of volume, phase, high pass, and EQ customization for fully-tuned sound environments with presets and listening modes. Automatic room correction uses the iOS/Android device microphone to optimize the sound settings based on the room configuration and focal listening position. Unbalanced RCA, Balanced XLR, Hi-Level, and wireless inputs can be used simultaneously and level mixed in the LowControl app for a myriad of source types and configurations. One Klipsch WA-3 wireless transmitter (sold separately) supports up to three Klipsch C-series subwoofers with high definition wireless audio connectivity. 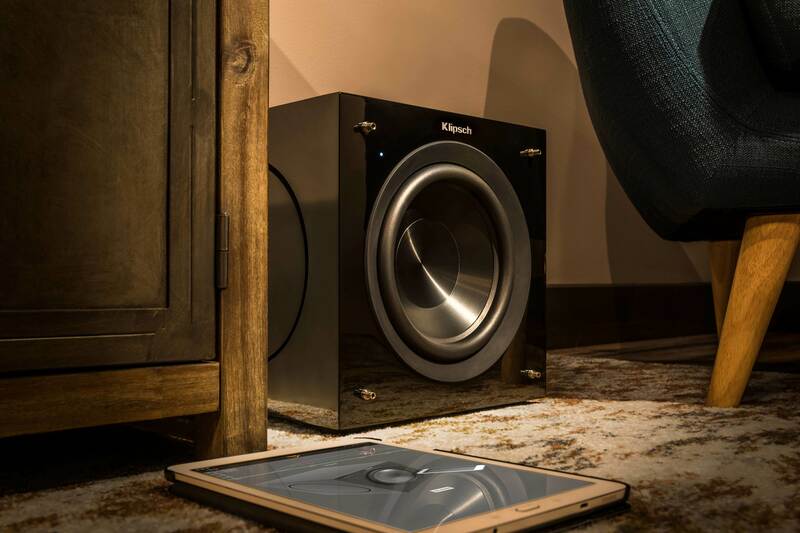 Klipsch C-Series subwoofers include wireless audio transmission capabilities for flexible placement anywhere in the room when configured with the WA-3 wireless transmitter. The Klipsch C-Series ultra-compact subwoofers are available through professional integrators or at now at select retailers. For more information on Klipsch C-Series subwoofers, visit Klipsch.com or Klipsch.com/custom. Klipsch® and Keepers of the Sound® are trademarks of Klipsch Group, Inc., registered in the U.S. and other countries. LowControl™ and Cerametallic™ are trademarks of Klipsch Group, Inc.